"Christmas Family Fun From Christmas Eve Through Epiphany"
Several days of Christmas family fun start on Christmas Eve and continue through Epiphany. In our family, we observe these feast days with cherished traditions. Because we focus on Advent before Christmas, these activities keep our Christmas spirit up as the commercialism of Christmas has died out. Lyrics to "Holy God We Praise Thy Name"
Reserve some or all decorating for Christmas Eve. This emphasizes the distinction between Advent and Christmas. Ceremoniously present the Infant Jesus to your family’s shrine that night on a pillow of “sacrifice” straw that was gathered throughout Advent. Any traditional Christmas hymn is appropriate. Some favorites are "Silent Night" and "O Come All Ye Faithful". Pray the family Rosary or at least the 3rd Joyful Mystery, the nativity. The main event of this day is Holy Mass. Center all of today’s celebration around the Infant Jesus and His holy Nativity. Other secular traditions are okay to include as long as the focus is on the Birth of Our Lord. Read the nativity account in the Gospels or in a well put together book. 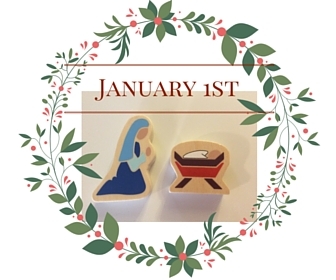 Use nativity scenes like Fontanini to allow the children to get a hands on experience. St. Stephen was the first martyr of the Church. Read his story aloud then place red poinsettias round the crib on your family altar to represent his martyrdom. Adding to your family altar in this way really emphasizing the religious aspect of Christmas. 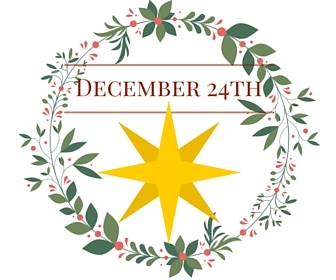 It serves as a visual symbol that something wonderful happened at Christmas. 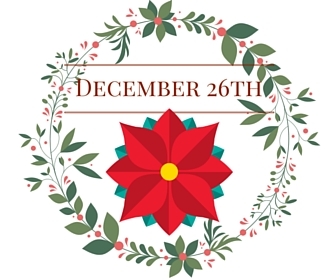 St. John’s Day is December 27. The feast of the beloved apostle St. John is celebrated with wine. According to legend, St. John was served wine that had been poisoned. After blessing it and drinking it, he was unharmed. This day wine can be blessed and had for dinner. Plan ahead and ask your priest to bless a bottle of wine for this occasion during Advent or Christmas. 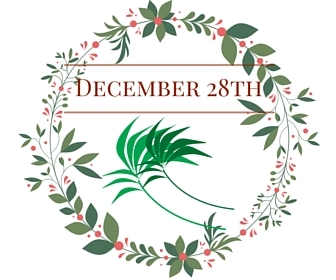 The Holy Innocents is on December 28: This day we remember the hatred Herod had for Our Lord and all the innocent babies that he ordered to be killed. In the home, the celebration takes place in honor of the baby. Decorate the baby’s crib and nursery, then ask God to send many graces to the “wee one”. If there is no baby in your home, present gifts to a friend, neighbor or family member's child who is under two years old. On the day of New Year’s Eve, we celebrate St. Sylvester's Day by visiting Our Lord in the tabernacle thanking Him especially for all the graces bestowed upon our family throughout the year. A plenary indulgence may be gained by reciting the Te Deum in thanksgiving for the past year. 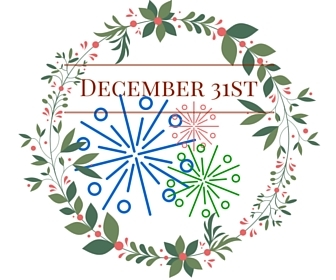 Bring in the New Year by singing “Holy God We Praise Thy Name” and "Auld Lang Syne". Have champagne ready, let off fireworks, and don't forget to make a New Year's resolution. Consider a virtue you will work on developing during the new year. New Year Day's, January 1, should be like a second Christmas. It is a holy day of obligation and holy Mass should be attended. The food and decorations should be as festive as Christmas. You may even want to keep a few Christmas presents unopened to open this day. In this way there are still more thrills as the gifts are opened. The Church celebrates the Circumcision of Our Lord this day as well as the feast of Mary, Mother of God. The celebrations from the evening before should carry on into this day. Meditations on the meaning of the title: Mother of God and the event of Our Lord's circumcision (the first time Our Lord shed His blood for us) should be included in the family Rosary. A plenary indulgence can be acquired by reciting the Veni, Creator Spiritus. The Epiphany on January 6th is the twelfth day of Christmas and we celebrate the three wise men coming and adoring the Infant King. 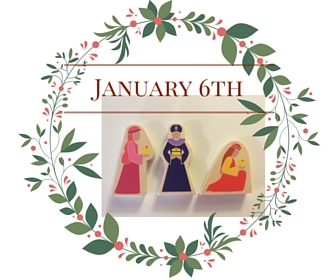 On the 5th of January the kids expect the Magi to make a visit during the night. In the morning there is a sweet surprise from the three wise men. It is also a custom to have the house blessed by the parish priest if he is available. Our priest comes with blessed chalk and incense. The father of the home writes the Epiphany inscription 20+C+M+B+15 above the doors. The letters are the initials of the Magi: Caspar, Melchior and Balthasar. 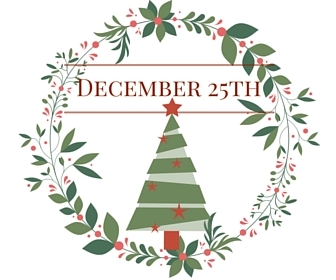 Observing these holidays with a focus on Christmas family fun will create cherished memories for your children. They won't remember the presents they received as a child but these traditions will stay with them the rest of their lives.